Cabo Rojo likely isn’t on your radar when you think of Puerto Rico. Located on the island’s southwestern corner, the area gets its name from the red cliffs that line its coast. It’s far from the tourists of San Juan and a place where you’ll find some of the most beautiful beaches in PR. Whether it’s your first time or you’re a frequent visitor to Puerto Rico, Cabo Rojo is worth hopping in the car and making the 2.5 hour drive from the capital city. Here is a quick guide to Cabo Rojo and the things to do while staying in Cabo Rojo. Cabo Rojo is known to have some of the most beautiful beaches in Puerto Rico, and relaxing along the shores of these beaches is a must-do. The area has several to choose from, each with their own personality, including El Combate, Boqueron, La Playuela and our favorite, Playa Buye. Playa buye has a roped-off area for swimming and lots of shade trees to seek relief from the sun’s rays. you’ll be thankful these trees are around when the sun shines high in the sky. Head out to El faro, Cabo Rojo’s lighthouse, where you can take in views of the Atlantic ocean atop majestic limestone cliffs that jut out into the sea. walk the trail to the right of the lighthouse to find El Puente natural and an other-worldly landscape of red rocks beneath your feet. be smart and cautious about standing near the edge…it’s a long way down. that’s not mars…it’s cabo rojo! whether it’s on your way to El Faro or on the way back, make a stop at Las Salinas, where the water is pink. Yes, pink. 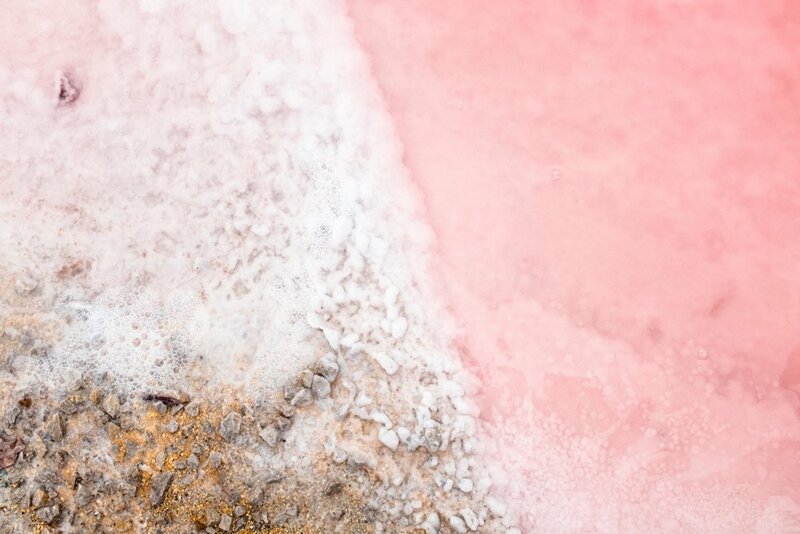 you have salt to thank for giving the water its rose-colored hue and it’s here at the flats where it is actively mined. makes for a fun photo opp. That’s not a mountain of snow, it’s sodium chloride! 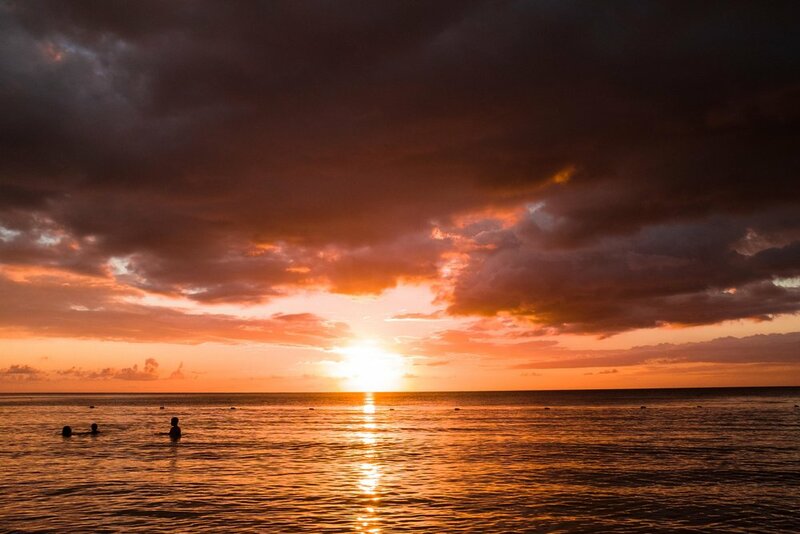 Because the sun sets in the west and Cabo rojo is located on Puerto Rico’s west coast, you’ll have spectacular views of magnificent sunsets. 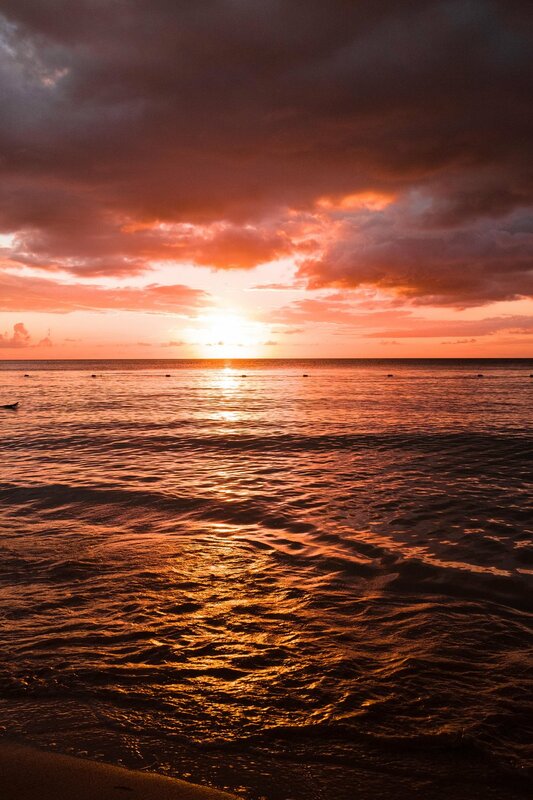 choose a beach, sit back and relax and watch as the sky is painted shades of orange, pink and purple.